When I acquired Shoney's Restaurants a decade ago, I was presented with an opportunity and a challenge to bring this 70-year-old iconic American brand back to its glory days. Since 1947, Shoney's has been one of the most popular family dining brands, dedicated to serving fresh quality food at a terrific value with honest and friendly service. While Shoney's has always been championed for these qualities, the early 2000s were a redefining moment for the restaurant industry. 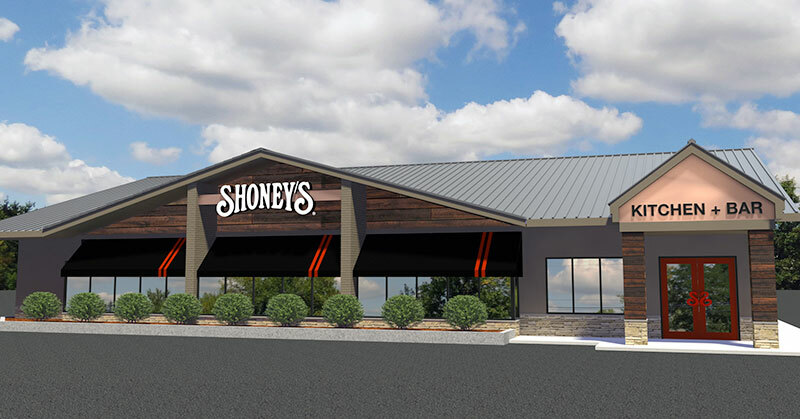 With more emerging concepts entering the market than ever before, consumers were presented with new dining options, and legacy restaurant brands like Shoney's couldn't rely on the past to help them succeed in the future. This philosophy has guided me to reimage Shoney's to become more contemporary and in step with guests' expectations today. One of the first sweeping changes we made was to our menu. It is imperative to make sure our food quality is exceptional. We overhauled the menu to serve exclusively fresh food, never-frozen meat, and added more creative dishes to attract a wider range of guests. Once the new menu standards were established, we decided that an even more drastic change was needed. In an unprecedented move for a family restaurant chain, we added a full beverage bar to some of our corporate and franchised restaurants. While we will always uphold our family-friendly dining experience, the addition of a bar has helped us overcome the "restaurant veto" -- the decision to not visit a restaurant because it is lacking something. Now, adult guests with families have the option to enjoy an alcoholic beverage with their meal, or stop in with friends to eat dinner, have some drinks, and watch a big game. The move has allowed us to expand our customer base and provide an all-encompassing restaurant experience. The largest project in the brand rejuvenation process was updating the appearance of our restaurants. For nearly 70 years, Shoney's had virtually the same look: a beige palette with pops of Shoney's classic reds made the restaurant identifiable from miles away. Although the look was iconic, it also felt dated and tired. We knew it was time to introduce a more modern design. One of the most challenging aspects of a full system-wide remodel of a legacy franchise like Shoney's is that you must prove to franchisees that investing in a remodel is a viable business decision. While it's possible to update every corporate location, franchisees must finance the remodel on their own. We had to make sure that the new look we presented would result in a proper return on their investment. From conception to execution, today's restaurant design was years in the making. In the past, we've made slight adjustments to older locations and built new restaurants with more updated looks, but we knew that to compete in the current restaurant environment the new design had to be perfect. We wanted our guests to see the new Shoney's and say, "Wow, Shoney's is better than ever!" Between our striving for perfection and the understanding that we needed to make a good investment for our franchisees, there are an endless number of variables to consider in the design. 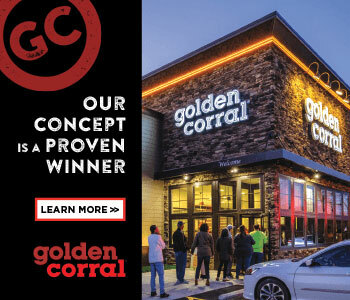 From selecting the right architect, to sourcing materials and maximizing square footage, to finding the right contractor who would work with every franchisee in the execution of their remodel, no stone was left unturned. Another major factor to consider was how to modernize Shoney's while still preserving the brand's iconic history -- a delicate balancing act that could make or break the new design. Our new look starts with a transformative exterior that still pays homage to the brand's rich heritage with classic Shoney's elements. The exterior design features natural wood and stone siding, turned-down black awnings, and a prominent, white backlit Shoney's logo. Adding to the casual appeal of our fresh look, new and some existing remodeled locations will have a large outdoor patio that can be enclosed by sliding and garage-style glass walls for multi-seasonal use. The restaurant's interior will also take on a renewed design that features a full-service beverage bar highlighted by bright red tiles. A long community table lit by cast-iron chandeliers will allow for large parties or multiple smaller groups to share a meal together, and the dining room will be separated from the bar area by large, curved booths. As part of our mission to rejuvenate the brand, Shoney's famous freshly prepared all-you-care-to-eat food bar will take on the additional purpose of a Freshly Prepared Food Market, where guests can purchase quality meals from the bar to take home. The first location to take on this new look will be our corporate restaurant in Donelson, Tenn., which will serve as the design prototype moving forward. A half-dozen corporate restaurants are planned to be remodeled by the end of 2017 and we have already secured initial commitment from existing franchisees to remodel an additional six restaurants. Today, with Shoney's new look, redefined menu, and famous all-you-care-to-eat fresh food bar, along with the addition of the full beverage bar, we are confident that Shoney's can uniquely compete in the full-service, fast-casual, and quick-serve restaurant segments. There is tremendous joy for me in being able to invest in bringing this iconic American brand to the forefront of today's consumers. My hope is that other entrepreneurs will recognize the opportunity to become a part of revitalizing history alongside with me. David Davoudpour is chairman and CEO of Shoney's Restaurants. During his more than 30 years in the restaurant and hospitality industry, he founded Lone Star Steakhouse, All Star Sports Bar & Grill, and is the largest multi-unit franchisee of Church's Chicken. In 2007, he acquired Shoney's and is on a spirited mission to revive and reinvigorate the family-friendly, Southern-style restaurants to the premier family casual dining concept it once was.